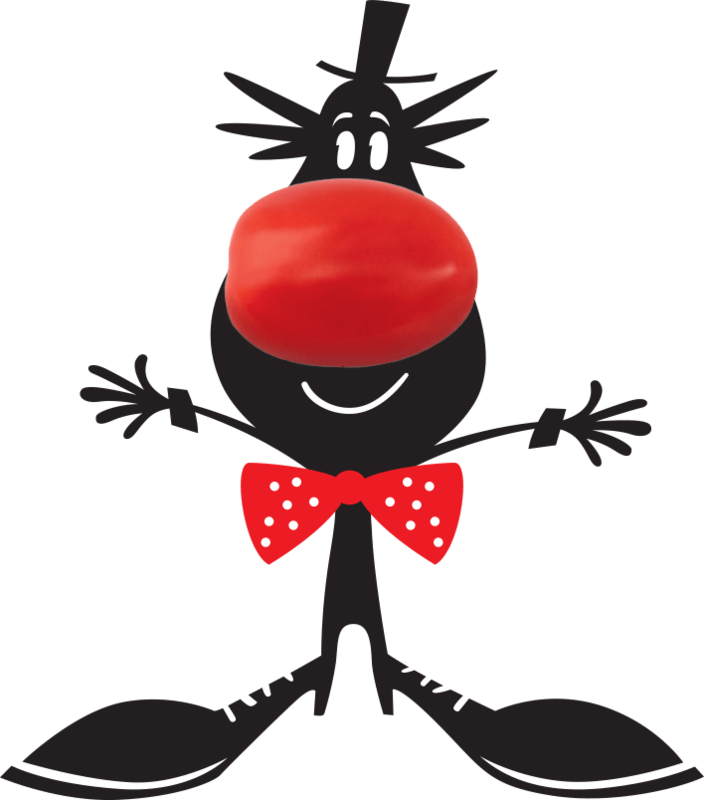 Snack sweet peppers are clamouring to be heard! 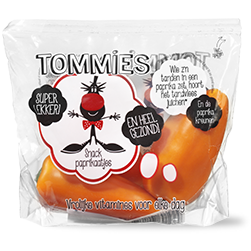 It took quite some time for sweet peppers to be included among snack vegetables. 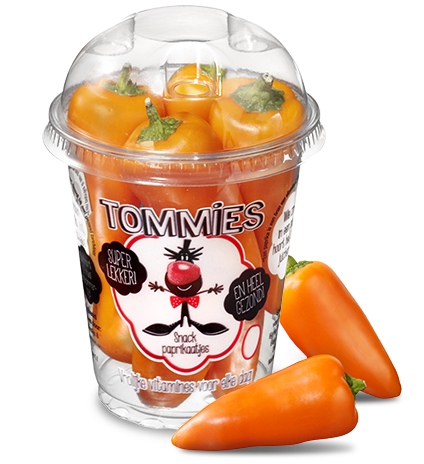 But thanks to Tommies’ mini sweet peppers the tasty vegetable is becoming an increasingly common sight in schoolyards, offices and homes. 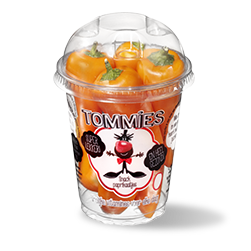 The vitamins contained in Tommies sweet peppers help to boost your immune system and the condition of your hair and gums, and they also help you fight fatigue. Don’t they look beautiful, with their bright orange colour! 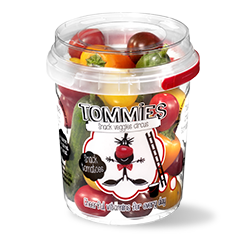 The differently coloured tomatoes, orange sweet peppers and green cucumbers give Tommies’ range of snack vegetables a colourful palette featuring red, yellow, orange, green and purple. 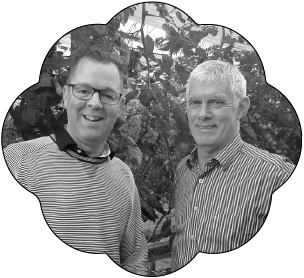 Colourful vegetables are not only lovely to look at but also very good for you. Different colours mean different nutrients. 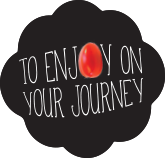 So try varying your diet with as many differently coloured vegetables as possible to make the most of their health benefits. Sweet peppers contain loads of vitamin C and are also a source of folate and vitamin E. Together, those nutrients boost your immune system and the condition of your hair and skin, and they also help you fight fatigue. And all this without piling on the calories (25 calories per 100 grams). ).